Ani's Book Abyss: Booklikes-opoly | Free Friday Read #4! and Roll #26 decision! I was hoping to hit the library today to pick up a few books for series I really want to keep reading, and hopefully catch up with or finish this year. But that didn't happen, so I made a few adjustments to my reading decisions. For my Roll #26, I finally decided to read Hot on the Hunt by Melissa Cutler, which is 281 pages, worth $6.00. This was supposed to have been my 3rd Free Friday choice last week... but under the circumstances of an auto-buy author releasing a new book, I made some last minute changes. Aside from the ocean in on the cover, after reading the first two chapters, it seems that the book opens up on the Virgin Islands in the Caribbean Sea. I hope that means the rest of the book will take place there, but as a Military-type Rom Suspense, travel is always a possibility. Well, that will work out to fit New Orleans Square 21, for either having a setting on an island, or the ocean on the cover! Now, I will at least be able to finish this trilogy and move on! I'm counting it as an accomplishment, for one, and I've very much enjoyed the first two books in this series, so I'm going into this last one with some high hopes. 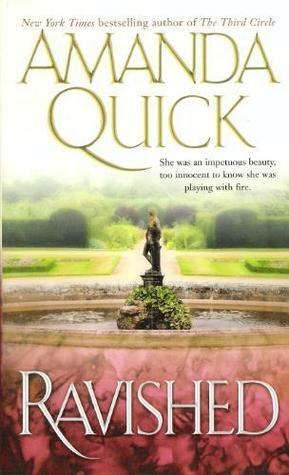 For my 4th Free Friday Read, I will be reading Ravished by Amanda Quick. For no other reason than, just because I want to. I like Amanda Quick, and always breeze through her books. Even at 418 pages, I'm sure I'll be completing it pretty soon. And if not, I have until next Friday! Ravished will be worth $10.00. 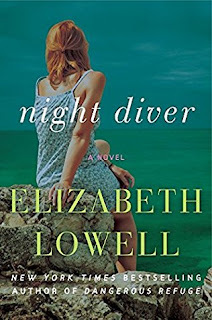 Still working on Night Diver by Elizabeth Lowell from my 4th of July Optional BL Challenge. 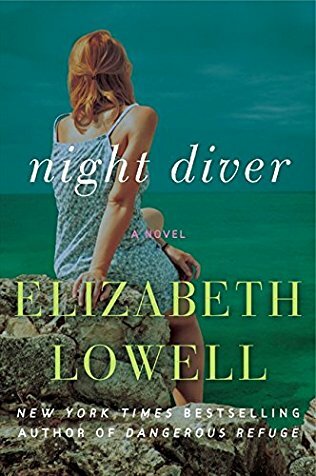 I'm starting to wonder if those first few Elizabeth Lowell books I read nearly two, maybe three years ago (Donovans series, Rarities Unlimited) were it for me. I haven't really found anything else of hers that I have really enjoyed since.